Team Grotto practices 1-3 times per week. 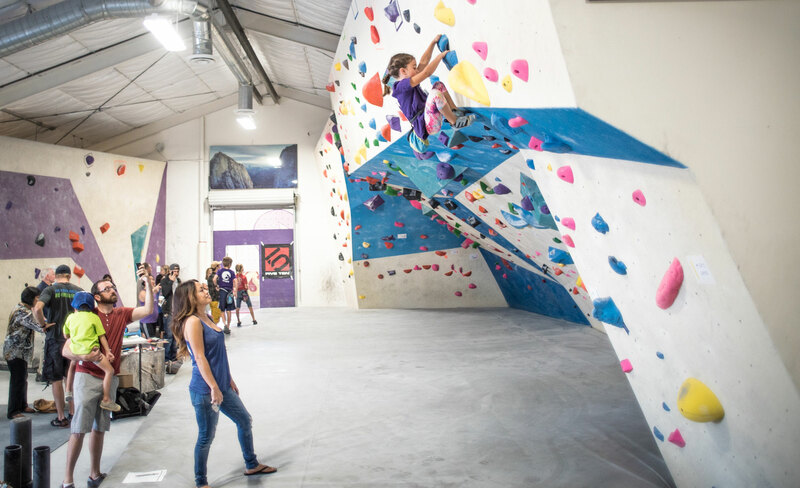 Team Grotto will represent Grotto Climbing in Local, Regional and National USA Climbing Competitions for American Bouldering Series ABS and Sport Climbing Series SCS. Team members will participate in training for climbing and will have a whole lot of fun while doing it. Here at Grotto Summer Camp, campers will learn the basics of bouldering and will advance their climbing technique, strength, and confidence! Not only will they learn how to climb safely, they’ll lear to push their physical limits and learn how to climb like a pro with our fun climbing games and team building exercises. Each camper will get one-on-one coaching as well as group coaching. They’ll learn the importance of stretching and training with a focus on great sportsmanship and team camaraderie! Climbing provides personal growth and development, leadership skills, and hand eye coordination while getting a great workout and having a great time doing so! Snacks/ Lunches will not be provided. Due to allergies, safety, and food handling policies we will not be providing snacks or lunches for campers. Campers are expected to bring their own food and drinks each day of camp. We recommend athletic clothing and closed toed shoes as well. If the camper has not previously been to the Grotto, please fill out a waiver at www.grottoclimbing.com. For more details, check with anyone at the front desk or call 619-283-2105. Use coupon EARLYBIRDCAMP for 10% Off Registration! Enrollment fee includes camp fee’s, daily gear rental.